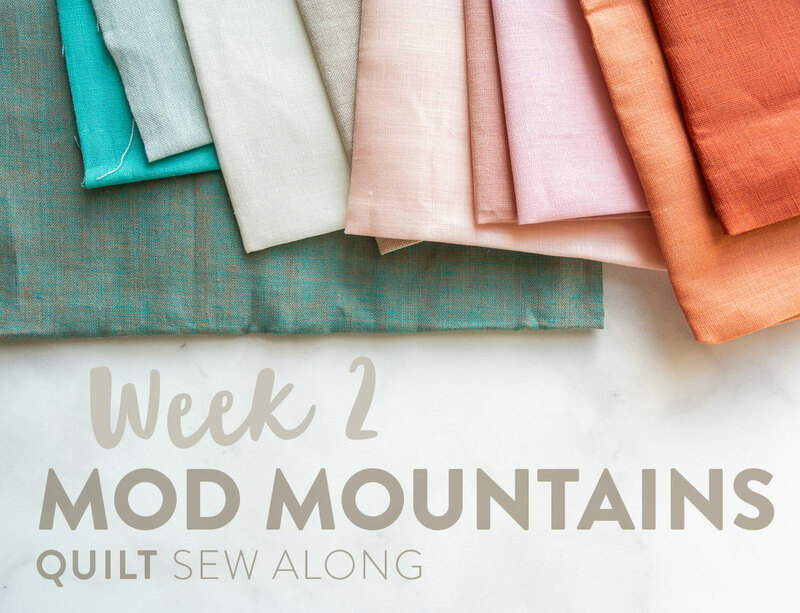 Welcome to the Mod Mountains quilt sew along! 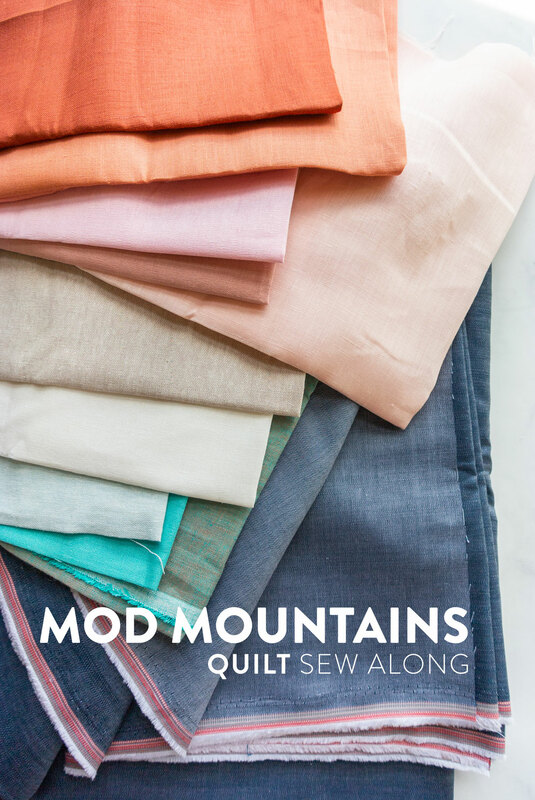 Click here to get your Mod Mountains quilt pattern and scroll to the bottom of this post for this week's prize details. 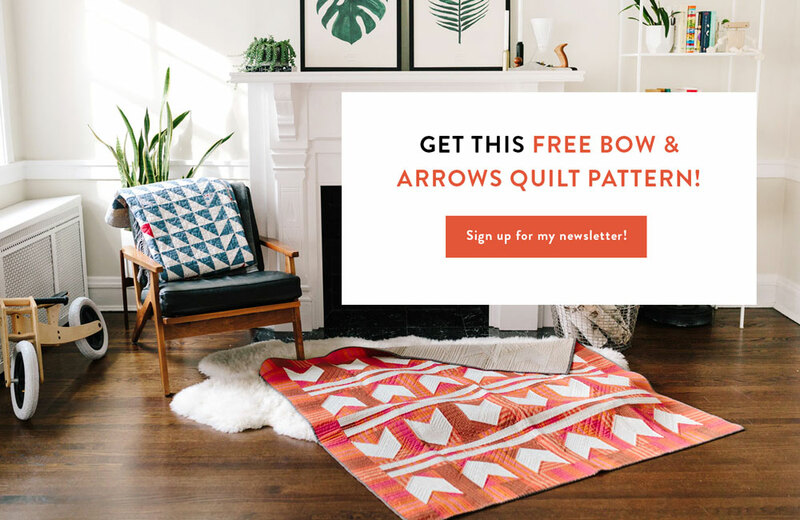 If you are just hearing about this sew along for the first time, I encourage you to read this introductory blog post on all of the details, prizes and schedule. If you would prefer a shorter, bulleted list, check out the Mod Mountains Week 1 recap. 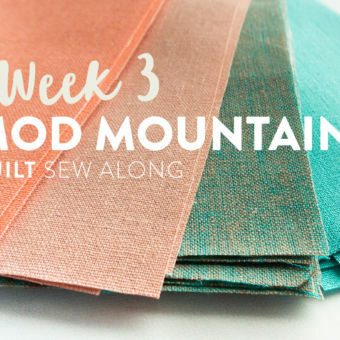 During Week 1 of this sew along we picked our fabric and gathered any extra supplies. If you missed it, be sure to backtrack and give it a skim. 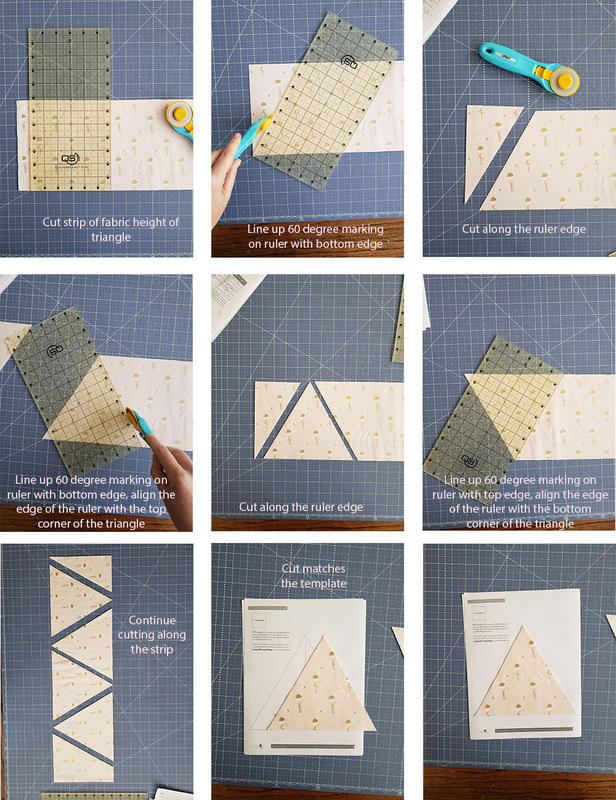 There's a great list of supplies along with a tutorial on how to cut triangles with a regular straight ruler. I also uploaded our Facebook LIVE video to the post. In that video we chat more about fabric, fraying, using starch and cutting while I bounce baby Desi. So much multitasking! In Week 2 we are still gathering fabric and supplies. However, if you're all set on that front and itching to get cutting, don't let me hold you back! 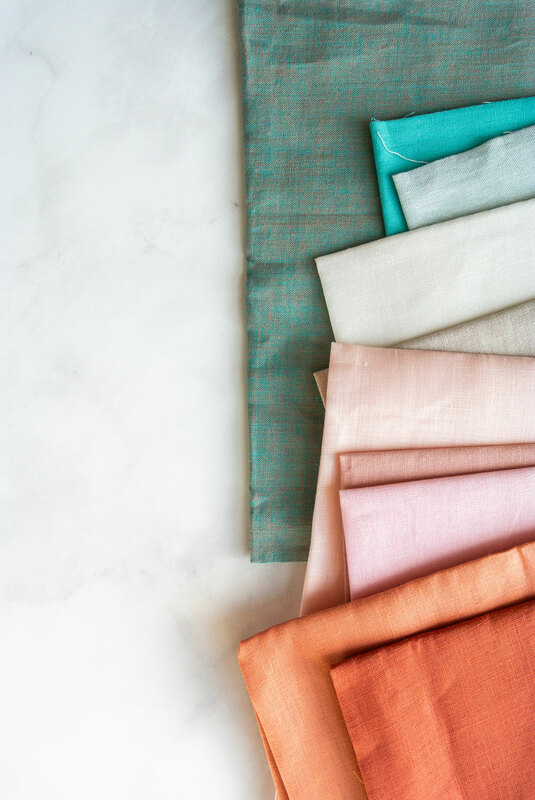 Cutting will most likely take longer than picking fabric, so feel free to jump ahead and spend more time on that. I have a few specific tips this week to cover that I think you'll find helpful. Below is an alternative cutting chart for Color 4 fabric if you are using a print or fabric that is NOT reversible. 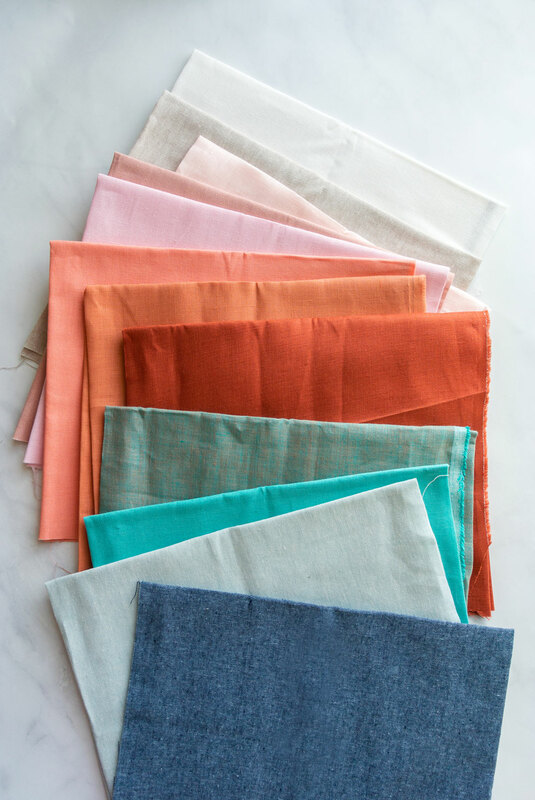 (Solid fabrics are reversible, while prints are usually not.) 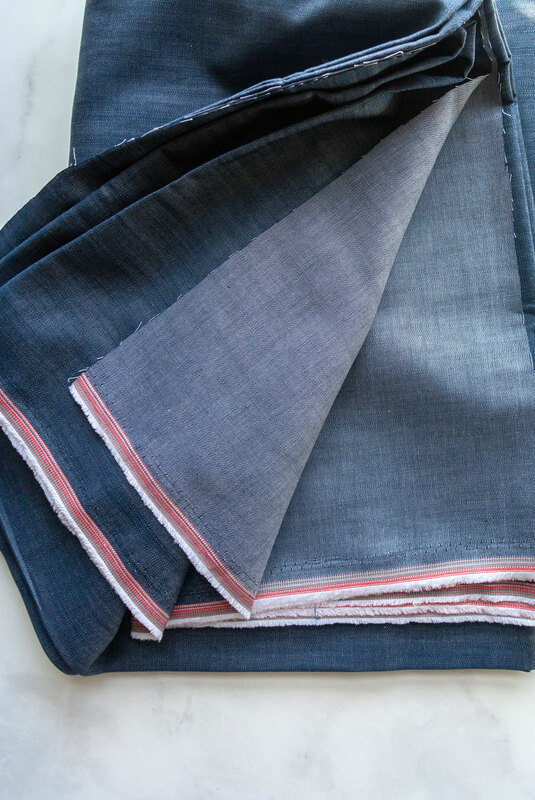 As you can see above, the chambray that I will be using for Color 4 is not reversible. If using fabric like that, half of your Template B pieces need to mirror the other half. 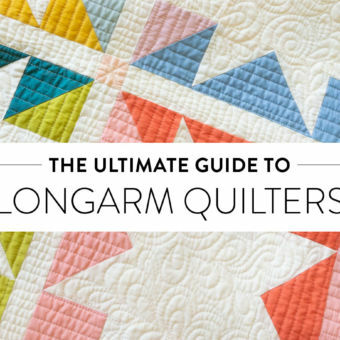 This happens naturally on the cutting charts for all of the quilts except 3 pieces on the Baby and 2 pieces on the Throw. 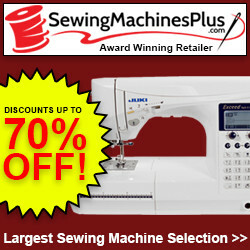 This does not change your fabric requirements (even if you already cut everything, you will still have enough extra). Starch is a beautiful thing. 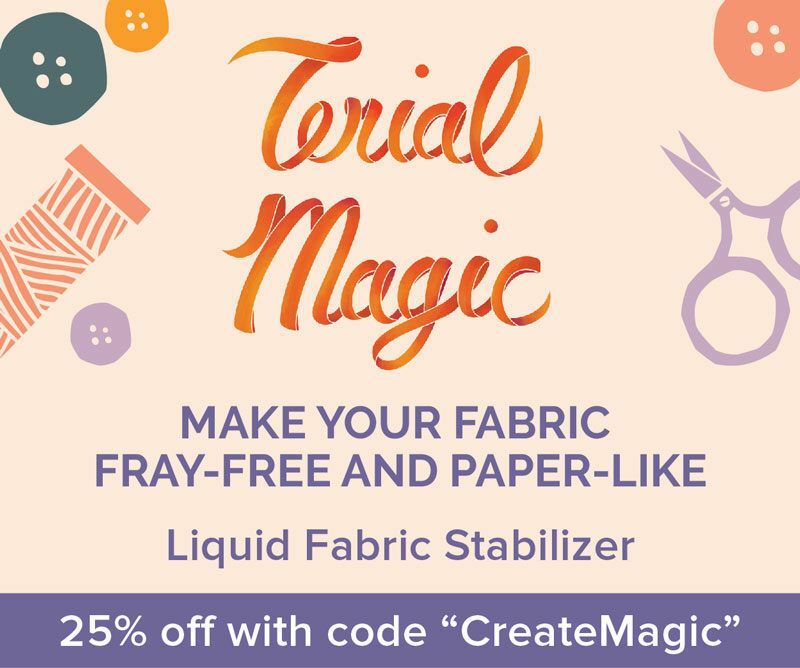 It sprays on like water, tames flowing fabric and smells great to boot! I have a blog post about starch if you would like to read in more detail. After starching, cutting and sewing, I use a Tailor's Clapper with regular steam to get incredibly flat seams. If you haven't used one of these, prepare to be amazed. The Mod Mountains pattern provides you with a 6 3/4" high 60-degree triangle template – Template A. That template can easily be substituted for a triangle ruler. I personally use this Clearview Ruler. As you can see, my ruler has a pointy top. 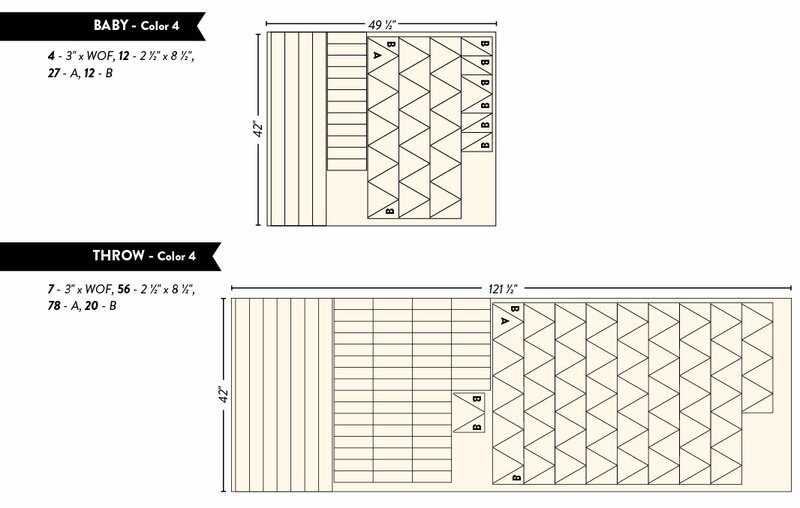 Below is how you would sub-cut your WOF strips with the templates from the pattern. If you have a flat-top triangle ruler, similar to this Creative Grids ruler, everything works the same except since your ruler has eliminated the 1/4" dog ear tip, which means you need to eliminate it from your strips too. Instead of cutting 6 3/4" x WOF strips, cut 6 1/2" x WOF strips. As seen in the chart below, this also effects Template B – a 1/4" gets shaved off of that too. Line up the narrow portion of Template B and let the base of the template hang off 1/4". The chart below shows what I'm talking about. 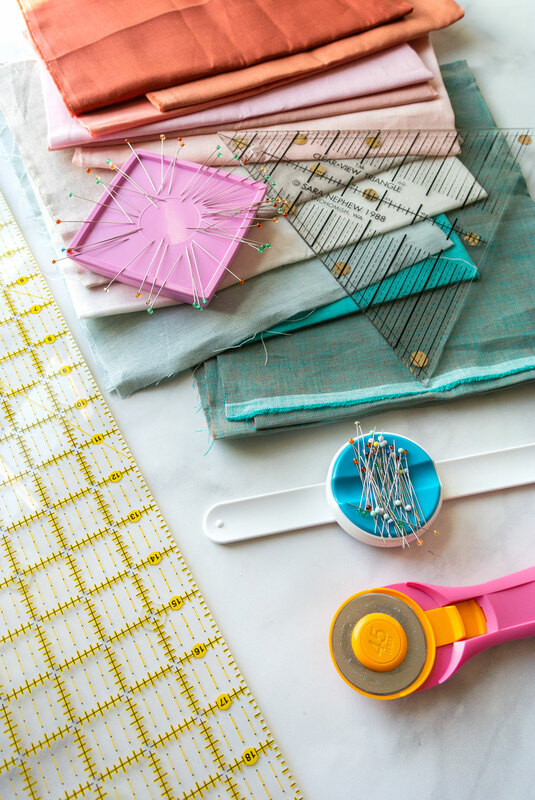 Below is a quick video showing you how to cut your fabric with both kinds of triangle rulers. 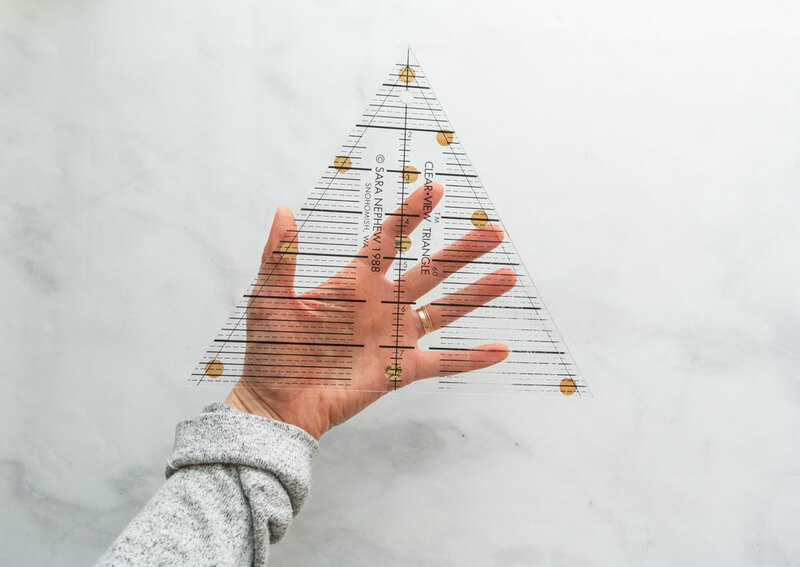 If all of this is too confusing, and you'd rather avoid triangle rulers altogether, below is a tutorial showing how to use a straight ruler with a 60-degree guide. If you have questions about anything Mod Mountains related, ask them here in the comments. With a last minute change to the schedule, Week 2 is giving away a different prize to 2 different winners! That's right folks, Week 2 has 2 winners. Your chances of winning just DOUBLED! 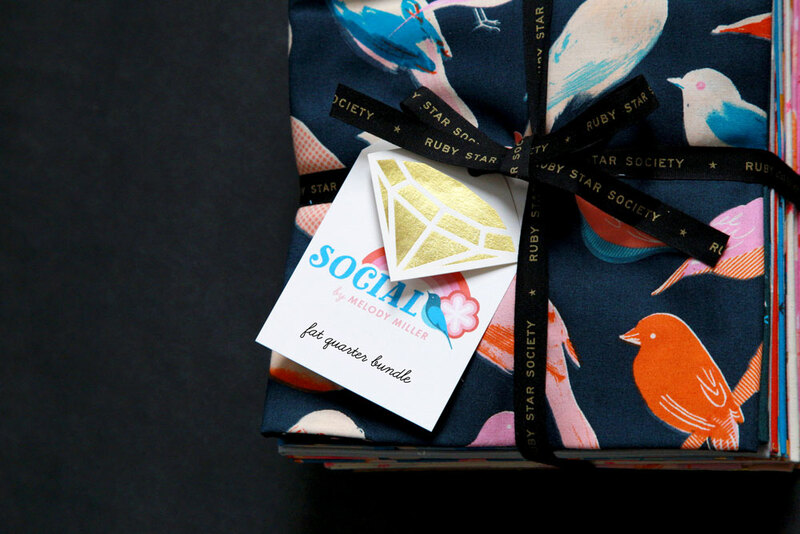 Our first prize is from the newly formed, highly elite and already loved Ruby Star Society. 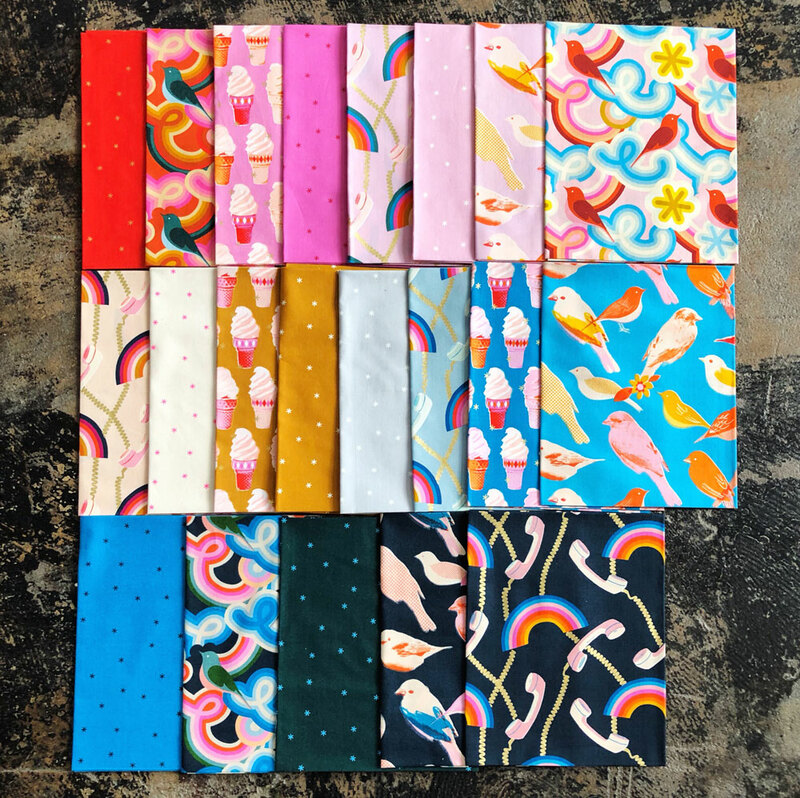 One fortunate winner will get the FQ bundle Social by Melody Miller, which includes her first collection for RSS and her first basic collection Spark (21 FQs total). This fabric is not available to the public until July! So not only is it free, it's exclusive!! 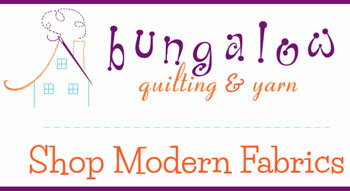 Our second winner this week will get the April Modern Quilter's Box. This box will include one SQ pattern, 8-9 Fat Quarters, a notion and a mystery block pattern. 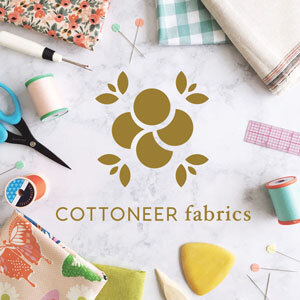 Photo prompt for Instagram: Post a picture of either 1. your fabric, layout and/or supplies OR 2. an introduction photo telling us about yourself OR 3. anything Mod Mountains related. Use #ModMountainsSA. Your photo must be posted between 12:00 a.m. CT on Wednesday, April 17, 2019 and 1:00 p.m. CT on Tuesday, April 23, 2019. These prizes are not open to international contestants. 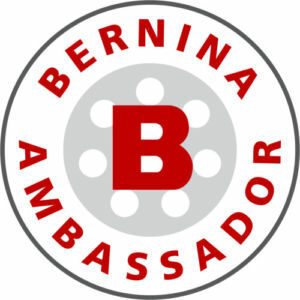 The winners will be picked randomly from all qualifying posts and announced on Instagram at approximately 4:00 p.m. CT on Tuesday, April 23, 2019. Some of the prizes are open internationally, however this week it’s just for those living in the USA. Hi Suzy! I jumped the gun on cutting out my triangles with the Creative Grids triangle ruler and I cut them to 6 3/4″. I have read your directions for that ruler. What would you suggest going forward? That’s no problem at all. You have a couple options: 1. You could trim your triangles down using Template A in the pattern or 2. Keep all of the triangles consistent and use Template B as it is in the pattern. Thank you and for all your hard work keeping up with us! 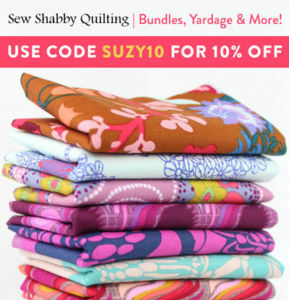 I met the girls from Ruby Star Society at QuiltCon several months ago. The fabric is wonderful and so luxurious! Can’t wait to be able to get the yardage! Hi Suzy! A lot of us Canadians have mailing addresses in the USA – would that make us eligible for this weeks prizes? 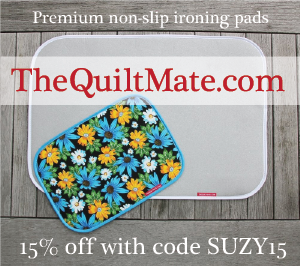 Suzy….working with linen, are you going to take a bigger seam allowance? Or use the scant 1/4” standard seam allowance? I’m going to keep the 1/4″ seam allowance to stay true to the pattern. I’m counting on the bias edges not fraying and helping my 1/4″ seams stay intact and secure. Thanks for all the deets! 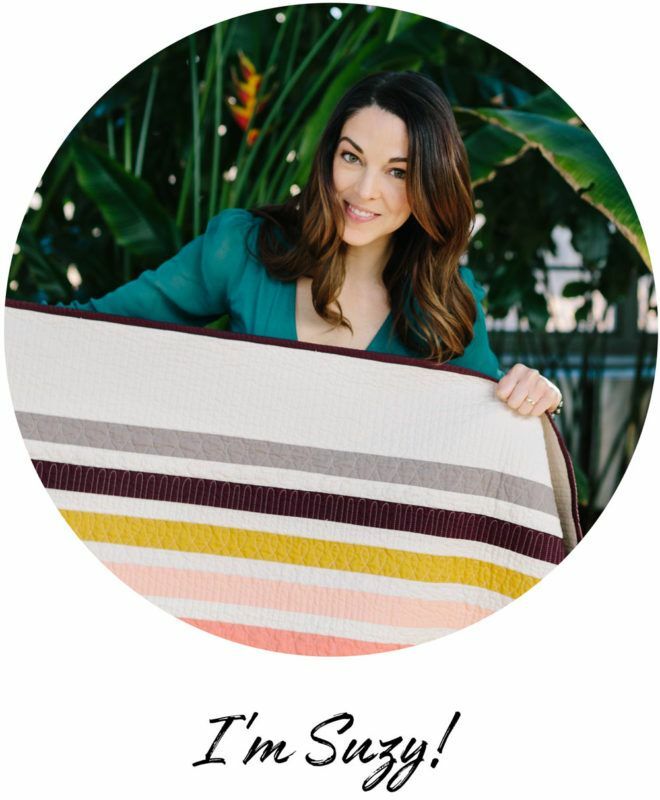 I would love a future post/blog about how to choose fabric colors and prints. am I too late to sign up for this one? Not at all! We don’t even starting cutting fabric until Week 3, so you haven’t missed much. 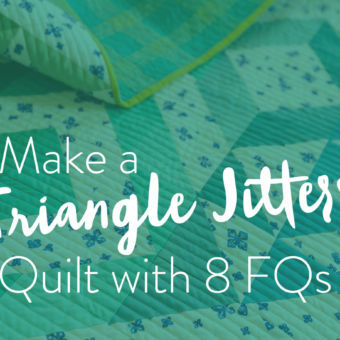 There’s no official signup, but the best way to get involved is to join the Suzy Quilts Patterns Facebook group and follow along on Instagram through #ModMountainsSA. I’ll be posting weekly here on the blog with what I’m working on and tips. 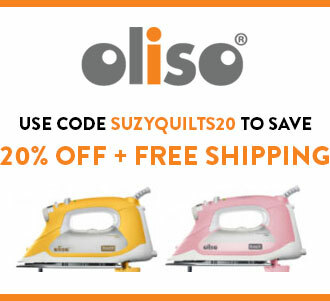 Do you use water spray bottle in conjunction with spray starch before ironing fabric? How much starch should I use? Light mist? 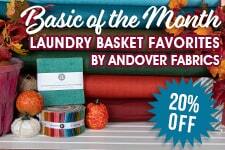 Get the fabric pretty damp? Because I’m kinda cheap I put a 1:1 ratio of starch to water in a spray bottle rather than purely using Best Press. I then mist the fabric as much as I need to get the wrinkles out and cover everything. Make sense? Perfect sense – thanks Suzy!